This edited collection, published by Brill, was developed from a series of thematically linked papers presented at the recent CIDRN/IRN conference, ‘Place, Politics and Power’. Places of Privilege examines dynamics of privilege and power in the construction of place in a period of the rapid social transformation of places, borders and boundaries. Drawing on inter-disciplinary perspectives, the book examines place as a site for the making and re-making of privilege, while considering new meanings of community, and examining spaces for cultural identity and resistance. 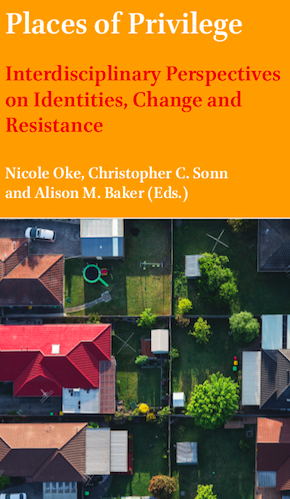 Chapters point to a range of conceptual resources that can be utilised to produce critical analyses of place-making. As the authors point out, power and privilege shape place but these dynamics are in turn shaped by the specific place based histories and social dynamics within which they are located.